Lowe Tombstone, Forestdale Cemetery. Click for a larger version. A family connection for me, through marriage, via the Miles line. 31 July 1912 — John Lowe, 71, died at his home 110 Sargeant Street, yesterday morning after a long illness. 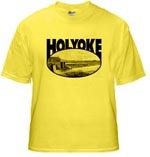 Mr. Lowe had lived in Holyoke for the past 38 years, having come here from Canada to work for the Farr Alpaca Company. He was born in England. He was a member of the Sons of St. George and a charter member of the Union Club. 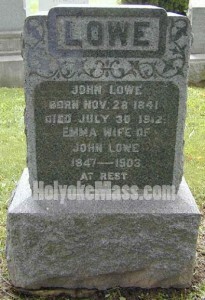 Mr. Lowe leaves on son, James H. Lowe, and one daughter, Mrs. James Miles, both of Holyoke. The funeral will be held from the late home this afternoon at 3 o’clock, Rev. E. B. Robinson conducting the services. The burial will be in Forestdale Cemetery. Is there an inventory of the graves at Forestdale? How about St. Jeromes’s? There are a couple of graves I would like to find and it would also be interesting to just read the names. Bob, The Forestdale Office is great for burial information, good information there! St. Jerome I think is okay too, though it seems more difficult to nail someone down with access to the records. I’ve heard the folks who actually maintain the cemetery are quite familiar with names and locations. Problem is in both cases is there is nothing browsable for records, at least that I am aware of. You need to have a specific name to ask about. I’ve inventories Rock Valley (it is online) and Smith’s Ferry (also online) but it is based on legible stones rather than burial records. Elmwood I’ve inventoried a couple of times and that one is problematic as it is old and no records are available for the earlier years. Calvary I am still working on. 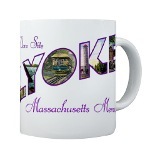 Feel free to PM me names re Forestdale, I might be able to help you.